Many Smartphones makers like HTC and Samsung have already released smartphones based on Blockchain Technology. This year’s new cellphones have begun to make their debuts across the world, and a new ’Blockchain’ feature has got the smartphone industry buzzing. Cryptocurrencies like Bitcoin and Ethereum have been the talk of the tech world for years. They offer the ability to make electronic transactions anonymous and completely private and use a process called ‘crypto-mining' to set exchange rates and value. They rely on a system called the blockchain to keep track of the amount of currency and record the trades This is distributed across computers that use and mine ‘Crypto-Coins’. One of the biggest hurdles these new currencies have faced is finding a way into their user’s pocket so that this new money can go global and be used easily in the physical world. Now Blockchain Smartphones are coming to bring cryptocurrency to the masses. This year, smartphones have been released that include Blockchain Technology, which could revolutionize the way we pay for things and exchange information. Services like Google Pay and PayPal have become very popular all across the world as a convenient way for people to make transactions and send funds to one another securely. This has long been a goal of cryptocurrency, as the trades are anonymous, locked and encrypted in digital wallets, keeping both your money and identity secure. The smartphones that have been developed make cryptocurrency as convenient as a debit card and all of our calls and messages are secure too, as they can also take advantage of the blockchain’s security features. What is Special About Cryptocurrency? What is important about cryptocurrencies is how they work. A digital wallet is like a bank account, you can keep money there safely to use or to gain a small amount of interest if you let it sit there. The Blockchain does the work of a bank, moving the currency and recording the transactions. This is what is so interesting - there is no need for a bank. People can make purchases from stores and trade between themselves without having to involve a third-party, a bank, to act as a middle man. The code that forms these cryptocurrencies and the blockchain offers the security and convenience of traditional banks, without having to use one and pay fees or have transactions recorded by a third-party. Transactions are recorded by the blockchain, like saving text to a file, with the user’s details anonymized. You can exchange fiat currency for cryptocurrency on online exchanges. It is a good idea to investigate the market first and check live cryptocurrency prices regularly to choose your moment to make the trade, as exchanges rates vary as prices change. Though cryptocurrencies have had a reputation for being volatile in the past, their pricing has become more stable in recent years, repeating the same pattern many traditional currencies did when they first emerged. What Blockchain Smartphones Are Available? This information is constantly changing. 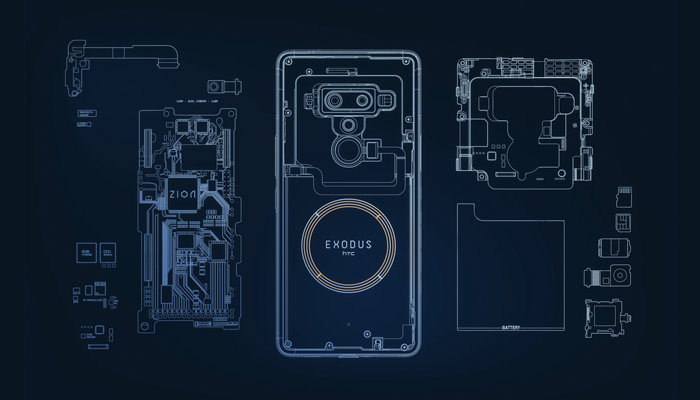 The first Blockchain Smartphones announced were from small, niche manufacturers, often making their first ever product, but immediately customers and mass-market competitors took notice. Major smartphone makers like HTC and recently Samsung have released their first Blockchain Smartphones that come with the necessary software and features to begin using cryptocurrencies and decentralized apps, or Dapps, straight out of the box. 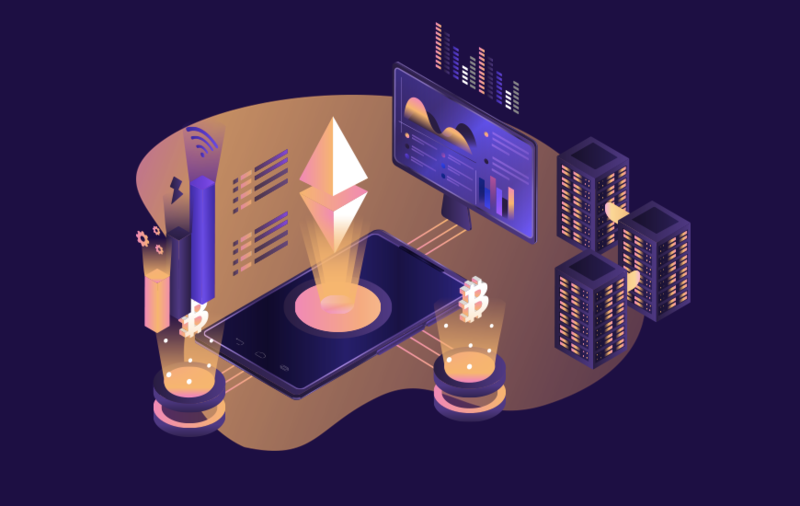 Dapps are downloaded from an app marketplace similar to Google Play Store or Apple’s App Store, and use blockchain technology to ‘crypto-mine’ as you use them. One niche manufacturer claims that its users can recoup up to a third of the cost of the phone from using its Dapps instead of regular apps. Why Are Blockchain Smartphones Trending Now? As cryptocurrencies have matured and their markets have settled, bigger and more serious investors have begun to notice and make their own cryptocurrency exchanges. This has given people confidence in the cryptocurrency. Another factor is demographics, as many people who were high school age when cryptocurrencies began are now leaving college and entering the workforce. Their knowledge and experience of these new technologies have created further demand for consumer-level cryptocurrency products, and more places to spend the currency. Blockchain technology has also grown at a time when confidence in traditional finance institutions has been shaken by a decade-long global recession that has impacted the young and middle class the most. As this large sector of consumers has been pushed into the ‘gig economy’ they have become more technologically savvy and used to earning and spending money without ever holding physical money. Blockchain Smartphones have the capability to change the way we shop, save, and trade with the convenience and the constant connection to the internet a smartphone offers a huge bonus, and the anonymity and security the blockchain can offer even more desirable. Decentralized apps even bring a way to reclaim some of the initial cost, which gives people an extra incentive to choose a blockchain smartphone over any other. For a long time, cryptocurrency enthusiasts have been looking for a way to get cryptocurrencies to go mainstream, and blockchain smartphones could be the killer application that they have been waiting for. As more manufacturers give consumers the option of cryptocurrency, and software developers begin looking at ways to bring blockchain-based operating systems to any cellphone, soon the blockchain and cryptocurrencies will be in your pocket too. Would you buy a blockchain smartphone? Feel free to share your views with us. Stay tuned to our page MobileAppDaily to get the latest updates on Blockchain, Bitcoins and other Cryptocurrencies.